With more than 10 years of experience in higher education leadership, Dr. Emmanuel Lalande serves as the vice president for enrollment management at Benedict College in Columbia, South Carolina. 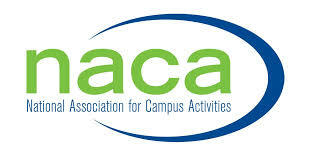 Additionally, Dr. Emmanuel Lalande maintains membership in the Association for Student Conduct Administration (ASCA). Recently ASCA highlighted a new approach to student conduct that looks to find the most helpful intersection between holding a student accountable while still advocating on their behalf. The practice of Advocacy Sanctioning (AS) was conceived by Moraine Valley Community College code of conduct coordinator Amanda Mesirow and focuses on providing a pathway that doesn’t inherently punish the student when it’s not the most appropriate course of action, but instead looks to examine root causes of poor behavior. There are three major elements that comprise AS philosophy. The first is a focus on student needs from a holistic standpoint (grades, finances, mental health, personal identity, etc.) for students who need significant interventions. The second element requires the assignment of specific hearing officers who are charged with advocating on the student’s behalf. And the third is handing out a sanction that isn’t just a punishment, but one that fosters long-term connection between the student and his or her hearing officer, which leads to better outcomes. Mesirow says she wants to move conduct offices away from the perception that they are there simply to hand out punishment. Rather, she wants them to be recognized as a place where students have advocates who are working to help them be successful as well.